In the spectacular new novel by Bath-based writer Maureen Lindley, we are plunged into the darker realms of American history and human nature. 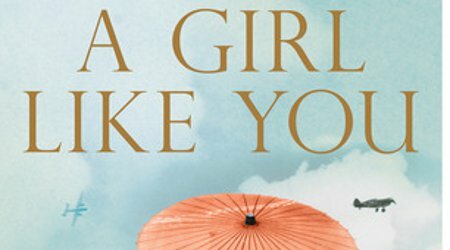 ‘A Girl Like You’ reveals events as they unfold through the eyes of thirteen year old Satomi, a half-white, half-Japanese Californian girl. With a father swallowed by the war and a mother spiraling ever deeper into grief, the veil of tolerance that once enveloped Satomi’s world is lifted and the announcement arrives: anyone with a drop of Japanese blood in them will be sent to Manzanar, the Californian labour camp where over 100,000 Japanese-American citizens were incarcerated following the attack on Pearl Harbour. In this place of horror and atrocity Satomi must discover what being American really means – and who she really is. This is more than just a coming-of-age novel; ‘A Girl Like You‘ is the riveting tale of a lost generation. Don’t miss out on the opportunity to discuss the book with Maureen Lindley herself.